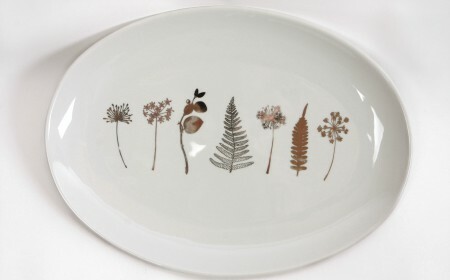 A beautiful, white porcelain platter with a unique foliage design. 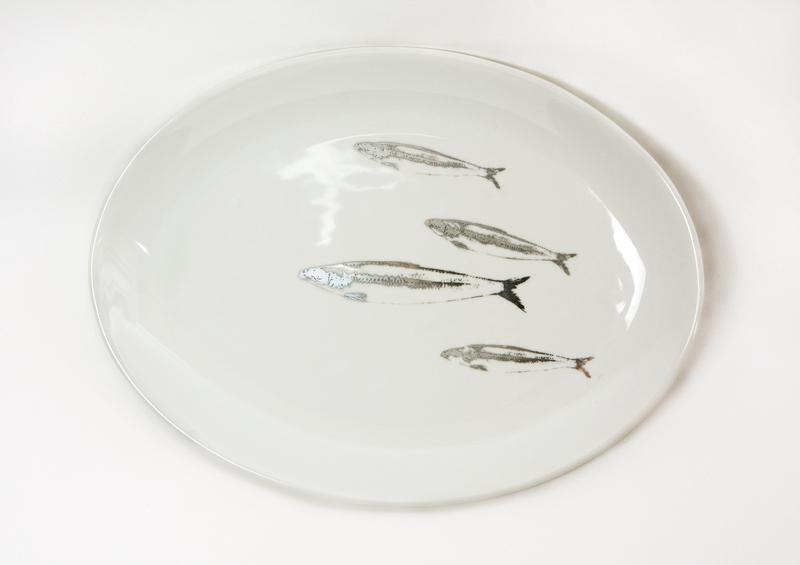 Decorated using platinum and coloured decals created from Caroline’s illustrations and photographs. 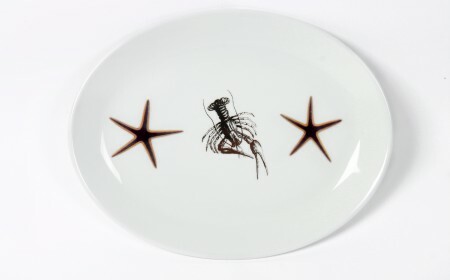 A beautiful, white porcelain platter with a unique design incorporating two starfish and a lobster. Decorated using platinum and coloured decals created from Caroline’s illustrations and photographs. 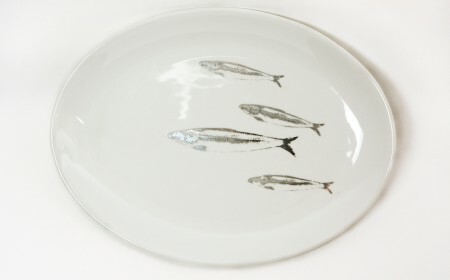 A beautiful, white porcelain platter with a unique design incorporating a shoal of fish. 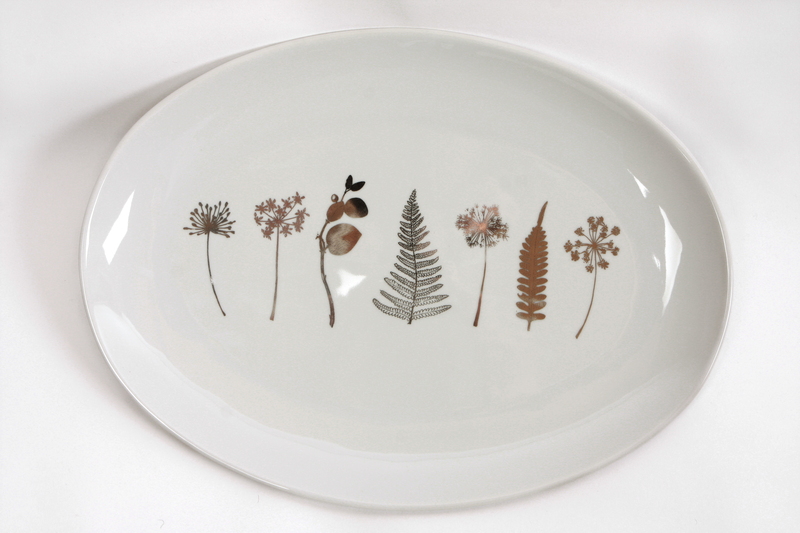 Decorated using platinum and coloured decals created from Caroline’s illustrations and photographs.